On each contact, you can store a lot of detail about the client—information such as client ID, tax numbers, birth dates and legal name. Beyond the basic contact information you store for all organizations and people, you can store extra client details that are specific to different accounting firms in the contact's accounting details section. Here you will find dedicated fields for information such as client ID, tax numbers, birth dates and legal name. 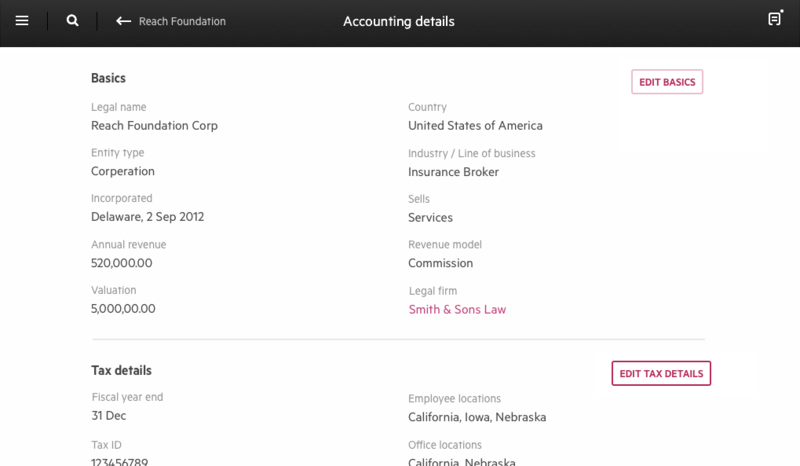 You can utilize the notes section for any additional information you want to store that does not have its own field.